Online conversations are riddled with pitfalls because navigating provocative subjects one tweet at a time invariably brings up very strong views and misconceptions. I have blogged about some controversial topics in the past, notably this one, which I received some blowback. I am afraid we are faced with a conundrum, a difficult choice of balancing free speech and political correctness. We have become so intolerant of differing views and we are quick to censure anyone based on a single tweet. It is like we have lost the art of having a conversation and debating an issue. We are becoming so polarized and quick to make judgements without pause. How much can you honestly get from a single tweet, anyway? I am going to contemplate two recent controversial tweets because it is a subject that interest me. First, you may have heard about Sen. Beyak’s tweet on residential schools and the social media comments in response to her subsequent tweets. 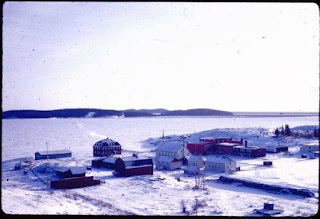 Full disclosure, I am Dene from Northern Alberta and spent years at Holy Angels Residential School in Fort Chipewyan, Alberta. I have blogged about my experience here. Although not a popular position and one that I deliberated on before writing that my experience at Holy Angeles was not a bad one. I was worried that I would get hate tweets for even saying anything positive about my experience. But more importantly I didn’t want what I said to mean that the tragic and atrocious treatment didn’t occur. I want to make clear, my personal experience doesn't in any way contradict the horrific experiences of thousands of other accounts. That said, I did take exception to Sen. Beyak’s tweet because in this climate of reconciliation I felt an extra burden is placed on a public servant to understand more profoundly the issues as they relate to indigenous people. Had she reflected on what she was going to tweet, she might have understood how her tweet could be offensive to some and maybe she would think twice before tweeting on a subject she does not fully understand. She was consequently removed from the Conservative Caucus because she refuse to see her error. Secondly, a tweet from Rick Mehta began circulating. The National Post interviewed him on January 15, 2018. In my opinion, this simple quote is a disturbing sign of the times because he clearly felt the need to clarify his view. However, judging by a petition that was started to remove him from his position at University of Acadia, my guess, is that his subsequent tweets only enflamed the issue further. Once a twitter argument gets started there is a no winning, trolls come out, and it explodes into heated diatribe. By that I mean since the eruption of social media people have an outlet to express their every whim and thought. And with this deluge of information we have become selective in what we read and more critical of what does not resonate with our own sensibilities. The social media platform is ideal for this because it is easier to read each tweet as faceless. Sadly, it has become common to read strongly worded comments that include violence against a person just based on thier tweet. In particular, indigenous controversial issues always appears to invoke a more spirited emotional response. Comments on controversial indigenous stories tend to be harsh. Are some of these comments racist? it sure appears to be. However, to be sure, some are taken to be racist even if they are not intended as such. Indeed, miscommunication occurs often and easily online. The more important question for me, becomes shouldn’t we have the right to voice an opinion separated from our professional opinion like Rick Mehta’s tweets. It is obvious that he was tweeting from his personal profile and not under that of his university. Is he not allowed free speech without risking his job? Are any of us? Simply put, the issue of free speech is becoming an intricate and difficult problem in this environment of intolerance. I believe our bias continues to shut each other down. If continued, we are courting a disastrous outcome to our individual right to free speech and it will happen gradually. We should be able to be tolerant of others point of view no matter how abhorrent it is to our own beliefs. In an extreme situation, in the 1979 case of Stokie, a march that tested the intolerance of religious and freedom of speech in a historical legal battle ensued. A small group of neo-Nazis (National Socialist Party of America) challenged in court for the right to march in a predominately Jewish community wearing swastikas. The community, many of them former concentration camp members argued that it was like being victimized again. At the end of the day, the march never took place. Interestingly, a Jewish lawyer for the American Civil Liberties Union had represented the neo-Nazis in court, seeing their rights of free speech as more important than suppressing the hateful content of that speech. Similarly, the white supremacist marchers in Charlottesville last year by the alt right, as disgusting as their message was, were able to demonstrate because of their constitutional right to freedom of expression. We might not like it but we can’t pick and choose who gets to exercise their freedom of expression. In our world of social media we have tools to make free speech easy – maybe too easy -- but we are losing what must go along with free speech, namely the ability to express nuanced positions in an environment where respectful consideration and response can be expected. In our diverse and complicated society, we should be becoming more tolerant not less tolerant of each other. Reconciliation. What does that mean? As a first nation person, what reconciliation means to me, is the intent to reconcile what was done in the past by educating ourselves on indigenous history. It means creating a future for first nations that is not based on guilt or shame. Sen. Beyak’s tweets is the complete opposite of reconciliation. At some point the tweets became so contentious she lost all credibility. We have to stop tweeting "fighting words” because these fighting words come off as racist more times than not. Another point is that someone with controversial or hateful views will only become more hardened in their position if the only response to those views is suppression or emotional invective. We can’t hope to change people’s minds on Twitter. It is better to leave the conversation. Here too, I caution you to guard against going too far to the other side as to distort history. The treatment of Residential school students in Canada differed from province to province and from decade to decade. However, there is plenty of evidence that residential school did far greater harm than good. Perspective is important (My friend's account.) There are many, many, more similar accounts! In order for true RECONCILIATION Canada needs to accept their role in our history and to accept that these horrific stories from students as truths instead of trying to minimize these accounts because of the humanity shown to some.